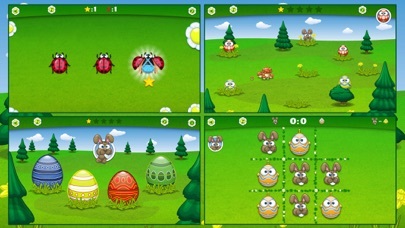 Holidays is a cute app for this time of year with 4 separate games for children to enjoy. With classic games like tic, tac, toe that are easy to learn and play, great illustrations, and fun music and sound effects, this app is great for young children. The developers have done a great job creating an app that is easy to use and is very appealing to young children. Each game is easy to play without any elaborate instructions to be concerned with. The simple tap and touch methods used within each game makes for a very intuitive interface. The illustrations and background music are also very well done. While this isn’t your typical educational app it does include some fun logic & memory practice within the games. There is a game that requires children to locate the sleigh carrying a gift (out of three) that are scrambled with each play. This challenges children to watch the sleigh and to remember where it was located. There is also a game that challenges children to remember various sequences and repeat them back (much like the game Simon), which is great for memory practice. 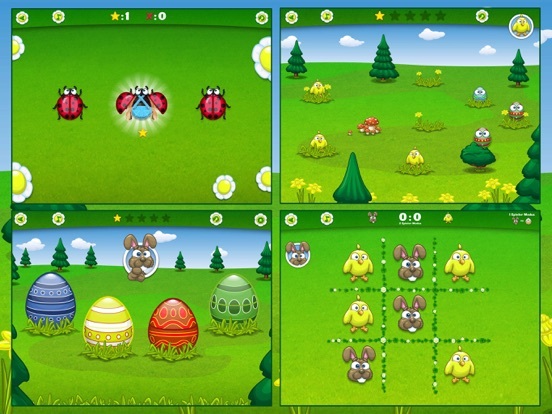 With 4 easy to play games, this app offers lots of entertainment. The games are offered in a free-play set up that is easy to use and lots of fun for children. 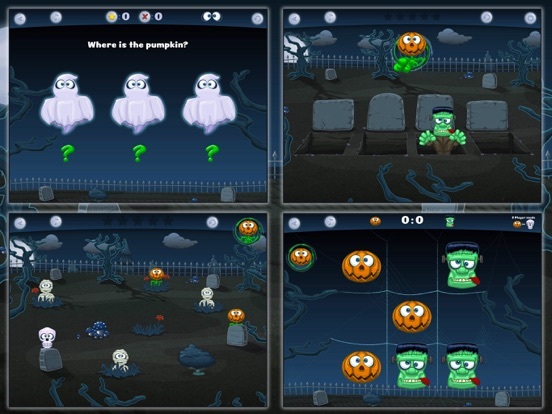 In addition to the games described above, there is a tic, tac, toe game as well as a catch me if you can activity that requires children to tap a particular character as they pop up on the screen. The longer you play, the difficulty increases requiring children to really pay attention. This added challenge adds a fun dynamic to this pretty straight forward app. Currently priced for just under a dollar this app is a steal. Not only do you get 4 games with the Christmas theme, but you also get 2 other holiday themes to choose from in the parent section, which parents can appreciate. 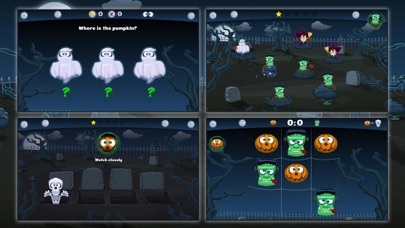 This app can be used not only for Christmas, but also for Easter, and Halloween with a simple tap of a button. Parents will also be happy to know that this app is completely safe for kids as there are no in app purchase links or accessible advertisements. All of the kid areas are completely free of buttons that might distract little ones. There is a parent area that allows you to change the holiday theme as well as limit the amount of time children can play the app. This area also has a few other apps by the same developer that are not protected however the main parent button is protected. With that said, the games are easy to understand without a ton of instruction and the user interface is very intuitive so children should have no problem enjoying this app on their own.